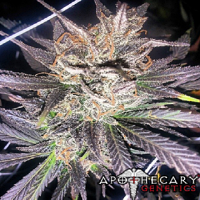 Apothecary is a seed bank that has continued to explore the possibilities that come hand in hand with recreational and medicinal marijuana, through innovation and education. 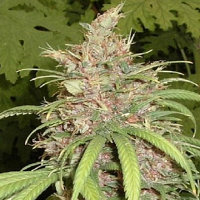 Having started growing top of the line seeds in the early 90s, in Gig Harbour, Washington, Apothecary Genetics Seeds has earned a reputation as one of the leading seed breeding companies in the industry. Since then the team has continued to develop a wide range of seeds that have been designed to optimise all stages of the production process, especially when it comes to flowering time, harvest and yield. 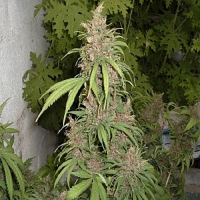 Best sellers in this popular collection include Apothecary Genetics Seeds Lemon Mango OG Regular, Apothecary Genetics Lemon Nigerian Hash Plant, Apothecary Genetics Nev’s Haze X Shishkaberry. But that’s not all… this is a seed bank that is always dedicated to finding and utilising ‘lace race strains’ in order to breed them with hybrids to create medicinal marijuana. Medicinal marijuana has been proven to help patients treat and manage a whole host of debilitating conditions including Glaucoma, Epilepsy, Parkinson’s disease and MS. 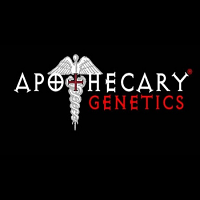 If you require any further information about Apothecary Genetics Seeds, or any of the seed banks we supply, please get in touch! 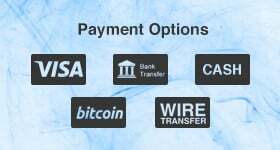 Our friendly and helpful team are always on hand to answer any of your questions.